An unusually warm U.S. winter has brought more distress to an icy retail sector. Shares of two troubled chains, Macy’s and Kohl’s, have taken a beating, giving activists a stronger hand for lobbying management to consider spinning out real-estate assets. But short-term fixes won’t dress up a larger industry problem: Consumers don’t much love department stores. Aggressive investor Starboard Value sent a letter to Macy’s on Monday reminding management of its plan to unlock value in the retailer’s property assets – which it estimates at around $21 billion – in prime locations like New York and San Francisco. 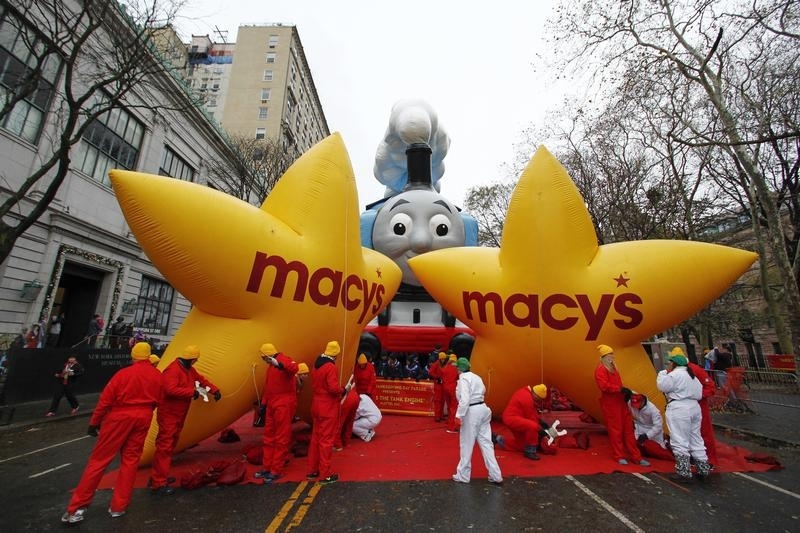 Macy’s stock is down 43 percent over the past six months, and its market value now at $11 billion. The share-price drop makes the fund’s idea of selling even a sliver of the properties look enticing. Meanwhile, $9 billion rival Kohl’s – down 22 percent over six months – is considering going private or breaking itself up ostensibly to head off a shareholder putsch, according to the Wall Street Journal. While financially expedient, monetizing the property assets will not change the unflattering fundamentals underlying the retail business. Sales for comparable stores at Macy’s, which also owns Bloomingdale’s, fell almost 5 percent during the critical holiday months of November and December. Analysts expect revenue at Kohl’s to inch up 1 percent to $19.3 billion for the fiscal year ending January. Now consider more focused European rivals H&M and Zara, which have outlets in the United States, and are able to switch out apparel inventory more quickly. Revenue at the Swedish $50 billion H&M is forecast to jump almost 20 percent for its fiscal year. Sales at Spain’s Inditex, Zara’s parent with a $100 billion market capitalization, rose 15 percent from Nov. 1 to Dec. 3. Amazon’s might only increases the pressure on omnibus retailers like Macy’s, as more consumers hunt for bargains and convenient delivery. Hiving off the brick-and-mortar can bring in cash today. But it simply transfers risk to another set of investors who will struggle to find tenants capable of paying their leases. That problem won’t go away – it just becomes somebody else’s problem. Kohl’s, a U.S.-based department store traded on the New York Stock Exchange, is considering going private or breaking itself up, according to a Jan. 10 story in the Wall Street Journal, citing a person familiar with the matter. Activist investor Starboard Value sent a letter on Jan. 11 to Macy’s executives supporting the company’s plan to cut costs and again pressing for sales of the retailer’s real estate holdings.